After signing a four-year, $32 million deal last March to return to the New York Jets, Antonio Cromartie is out again after just one season. The Jets have released the 31-year-old cornerback, a move that saves them $8 million against the cap. There's a chance the two sides could agree to a new short-term deal at cheap dollars, but otherwise, the Jets are set to spend the money saved in other areas of their roster. The team is now expected to have $21 million in cap space to work with this offseason, with free agents Ryan Fitzpatrick, Muhammad Wilkerson, and Damon Harrison all needing new deals. 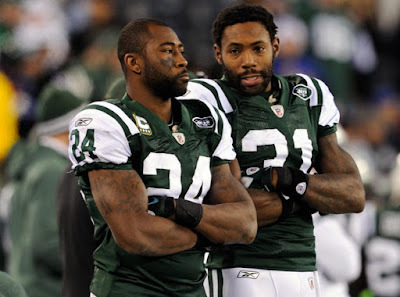 Cromartie played in and started 15 games for the Jets last season, and he didn't do enough in New York's eyes, as he finished with a grand total of zero interceptions yet managed to bat down 12 balls thrown his way. The biggest question now regarding Cromartie is how he'll manage to pay for all of his 12-and-counting kids, and we're only half-kidding with that one.